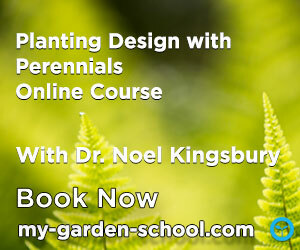 Noel's Garden Blog: WHERE DO GARDENS END AND LANDSCAPE BEGIN? And what have bagels go to do with it? WHERE DO GARDENS END AND LANDSCAPE BEGIN? And what have bagels go to do with it? This was originally written for Yue Zhuang, in an effort to clarify what some linguistic confusion about what we Brits mean when we go on about gardens. With any luck, there'll be some interesting stuff on Chinese gardens and garden concepts to follow on. This a crucial point in the framing of discussions about gardens - more than in discussion about landscape. Landscape people have a longer history of reflection on their craft, and area of study – garden people have been unreflective by comparison, and are sometimes surprised to find that discourse about their subject has been ‘usurped’ by those who business is landscape. This is also an important topic in any cross-cultural discussion – as every culture defines ‘garden’ and ‘landscape’ differently. These differences, once understood, can be very informative. ‘Landscape’ tends to include ‘garden’. So it is not surprising that gardeners can feel that they are sometimes being spoken for by their more articulate subject-cousins. definition , but in nuance and cultural meaning. The definition in western European languages centres on its separation from its surroundings by the presence of a boundary, which stresses its essentially private character. ‘Garden’ in English, Tradgård in Swedish, Garten in German, Jardin in French, all relate to English ‘yard’. Tuin in Dutch, Zahrada in Slovak I don’t know – enlighten me someone please? Gardens vary in size according to the wealth of their owners, so it is no surprise that C18 landowners could develop an artform which involved thousands of acres being called ‘gardens’. Their definition in the sense of a visible boundary was minimised, because part of the design concept of many landowners was to visually borrow landscape which belonged to other people. The key issue was private ownership and a design concept which flowed from this private ownership. ‘Landscape’ has always been a much vaguer concept, and whereas most cultures have a word for ‘garden’ (can’t imagine that the Eskimoes do, or maybe not even the Mongolians), landscape is a word which is generally of a more recent historic origin (it would be so interesting to know what words you use in Chinese and their origin). It is also a word which is, somehow inescapably, vague. Everywhere is actually landscape – wild nature, where there is no human impact gets called landscape, and it is possible to talk of a completely unplanned and dysfunctional place like a shanty town as being a ‘slum landscape’. Whereas ‘garden’ speaks of definition, in terms of both physical boundary, possession, and design-intent (usually on the most minimal level ) ‘landscape’ is just what is. So, if a landscape received the attention of a landscape designer, then that is a kind of bonus for it. Gardens are part of landscape. So, whereas all gardens are landscape, not all landscapes are garden. So inevitably landscape discourse includes and subsumes garden discourse. No wonder that many people who wish to talk about landscape end up talking about gardens – in many cases they are the most interesting landscapes of all, because they have been intensively cultivated and designed. But to let landscape discourse subsume garden discourse is to lose a meaningful boundary – which is why I think we garden people are actually quite jealous of that boundary. We do of course talk about some public parks as ‘gardens’. It would be interesting to trace the historic roots of this. It is not just an English affectation: Jardin Tuillieries in Paris, Englischer Garten in Munich etc. ‘Gardens’ have always tended to be smaller than parks, have usually had a much clearer sense of boundary, and crucially would involve a greater element of horticulture than was customary for parks. Horticulture then, helps to define what a garden is, at least in British culture. Indeed the ‘garden’ and ‘gardening’ are inseparable. In Chinese culture I understand that gardens are much more architecturally defined. It would be interesting to know the root of the word for garden, and whether different words are used for small architectural urban gardens and for larger rural ones. Does the word imply horticulture or not? Gardens are so inseparable from gardening that most British people accept only with difficulty that a garden may not include any plants.I shall never forget my father having a problem with the Boboli Gardens in Florence, never mind the clipped hedges, where were the flowers? Martha Schwartz and her infamous bagel garden and the ‘installation art as garden’ of Chaumont and the late Westonbirt garden shows have at least broadened out the definition for the British gardening public. 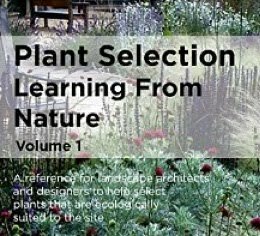 A rather moving publication from the USA some years ago also addressed the surroundings of homeless and vagrant people as ‘gardens’ as well – so we can perhaps reach a definition which minimises horticulture and instead emphasises management and design intent. So far so good. We can for the most part define gardens as being physically defined places with design intent, nearly always privately rather than publically owned. The private/public definition is a crucial one too. Parks and other public space which is owned by corporate bodies rather than individual ones are seen in so many cultures as places where less care is taken. They have less respect, particularly in cultures where there is little sense of the social good, as in Middle Eastern cultures. As public property, they inevitably suffer from ‘the tragedy of the commons’. The garden/landscape division then is not so murky. But it is one which is very important to the British, where so many people have private gardens, and where the ‘public garden’ seems almost a piece of historical anachronism. 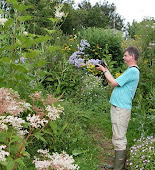 We have ‘garden designers’ a new profession whose numbers have grown like …. weeds? (the comparison in not meant to be unkind, only descriptive of their rate of self-propagation) in recent years. Landscape architects only rarely get to design gardens. “Jolly good thing too” – one can almost hear the gardeners saying. In most other countries, the profession of ‘garden designer’ almost does not exist or is synonymous with landscape architect. For most Brits, gardens are synonymous with plants and the activity of gardening - it is only pretentious foreigners who scatter them with plastic bagels or fibre-glass installations. But, to be honest, gardening and plants are what we are good at. They are at the core of what makes the British garden what it is. It is why more and more people from abroad come and visit our country. Do non-Americans go to the USA to look at Schwartz’s bagels? The Dutch word tuin = a bit of land enclosed by walls, hedges, fences etc. Its German equivalent would be Zaun (not Garten) which also refers to an enclosure. Both derive from the Celtic word tun or tuun. An oldfahioned word for garden in Dutch is gaarde. Very similar to garden, Garten, the Danish Gaard, swedish tradgard etc. The Dutch word boomgaarde means orchard; a garden for trees. BTW I'm a Dutch garden designer, so it's not just a British thingy.